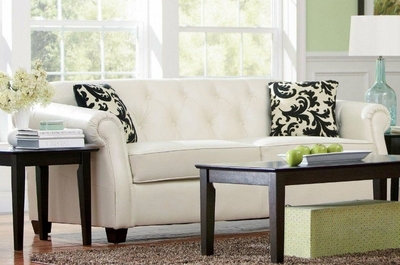 This elegant upholstered stationary sofa will add a classic look to your living room. The sophisticated sofa features a high back with button tufting for timeless style, while deep welted box cushions are supportive, with pocket coil seating. 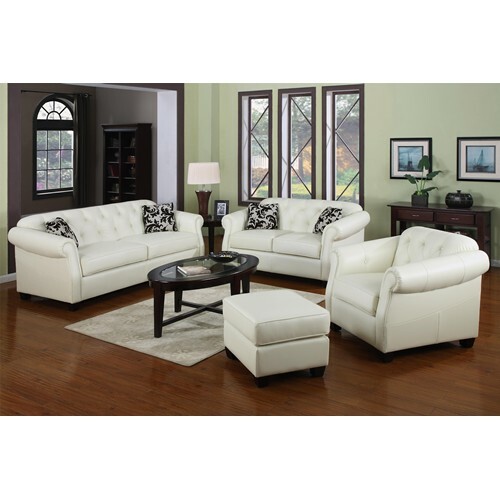 Cream bonded leather with a buttery soft texture is sure to complement your decor. Sleek sloping rolled arms, and tapered dark finished exposed wood feet complete this rich style. Complete your cool living room ensemble with this beautiful upholstered sofa.